This is a quick explanation of integrating your WordPress site with ONTRAPORT. 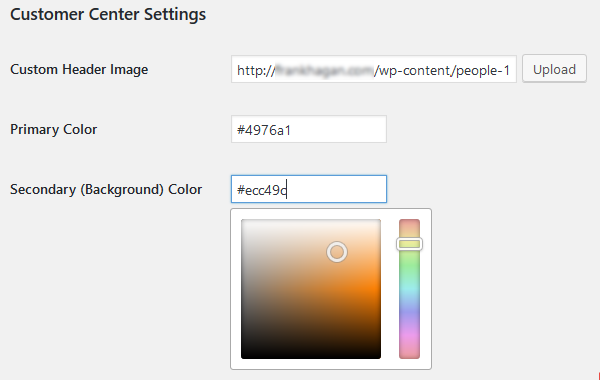 More detailed step by step instructions are available in the WordPress Integration section. Navigate to Administration > Integrations > Wordpress Website. Click the New WordPress Site button, then the Existing WordPress Site icon. Name the website for reference in ONTRAPORT (1), then provide the URL to your site (2) and copy the App ID and API Key values at the bottom (3) into a text file for use in WordPress. Download the PilotPress plugin to your computer. Then, click Save in the upper right of this page. Log into your WordPress admin section and install the PilotPress plugin by visiting Plugins > Add New and uploading the plugin. You will be asked for the App ID ("Application ID" in WordPress) and API Key during activation. After entering those, visit the PilotPress settings section below for further configuration. In WordPress Admin, navigate to Settings > PilotPress to configure the following settings. Lock all users without Admin role out of profile editor: Check to lock users out of the WordPress profile editor. Enable Customer Center Check to activate the built-in Customer Center. Your members can update credit cards, see future and past invoices, and change their username and password, so this can be valuable even if you do not have a membership site. 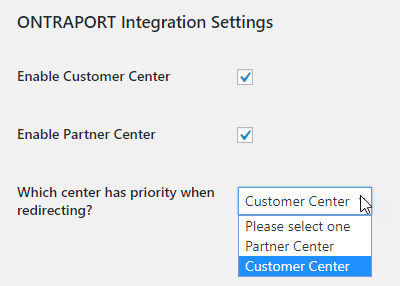 Enable Partner Center Check to enable the Partner Center if you have a Partner or Affiliate program. Your Partners can obtain promo tools, see the number of leads they have generated and track their commissions. Which center has priority when redirecting? If both are enabled, and the member logging in is both a Customer and a Partner, which Center should they redirect to? Customers Redirect To This lists all the pages in WordPress. While it defaults to "Customer Center", you may want to direct all customers to a sales page, membership overview page, etc. Partners Redirect To This is used to send Partners to a particular page. It lists all the pages you have created in WordPress, so you can use a page promoting your upcoming partner offer, or to the Partner Center (the default setting). Custom Header Image Adds an image of your choice to the top of the Customer Center page. Primary Color A color selector appears when you click into this field. Secondary (Background) Color Select the color for the Customer Center background. 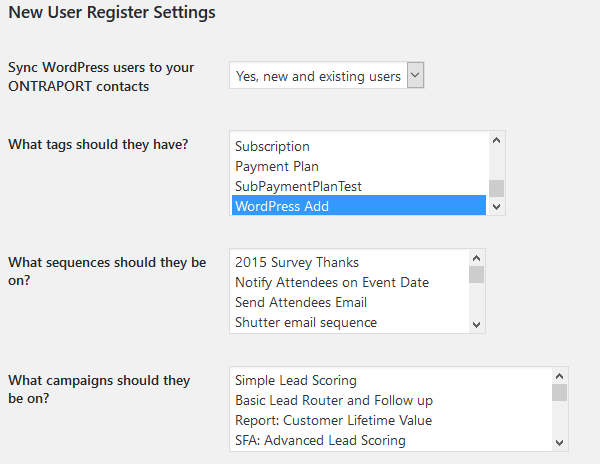 Yes, New and Existing Users (sync all existing users in WordPress to ONTRAPORT as new Contacts). What tags should they have? - If WordPress users are added to ONTRAPORT, what Tag would you like WordPress to add to them? What sequences should they be on? - You can have the new Contact join a legacy Step or Date Sequence when they are added to ONTRAPORT. What campaigns should they be on? - Specify the Contact be added to a Campaign. 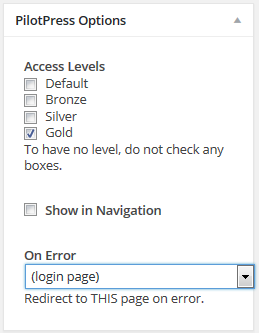 The Logout Settings section has a drop down to keep members logged into your site longer than usual. As of PilotPress version 2 this setting is rarely used. Disable Verify Host SSL: This checkbox is very rarely checked. It is used when you manually edit the wp-config.php file to bypass SSL verification temporarily for manual program updates, and want the PilotPress API calls to proceed during the update. If you are not getting error messages about the SSL certificate such as "the SSL certificate for the host could not be verified" then this does not need to be checked. Use WordPress URL instead of Site URL: This checkbox is also rarely used. In most cases, the WordPress URL and Site URL are the same. The most common reason for them to differ is if you have configured a separate home page specified in Settings > General Settings > Site Address (URL) that links or redirects to the location where WordPress is installed. In order for PilotPress to find it's configuration files, it will need the location where WordPress is installed, and this checkbox forces it to look at the "WordPress URL" instead of the default "Site URL". Clear PilotPress Cache: PilotPress caches data about the members when they log in to speed up page rendering. This button forces an update of the cached data. It does not log anyone out, but may cause a momentary delay of a half second when clicked. Click Save when finished configuring the PilotPress settings. For video instructions, see the video in the Six Steps to Integrate Your WordPress Site section above. 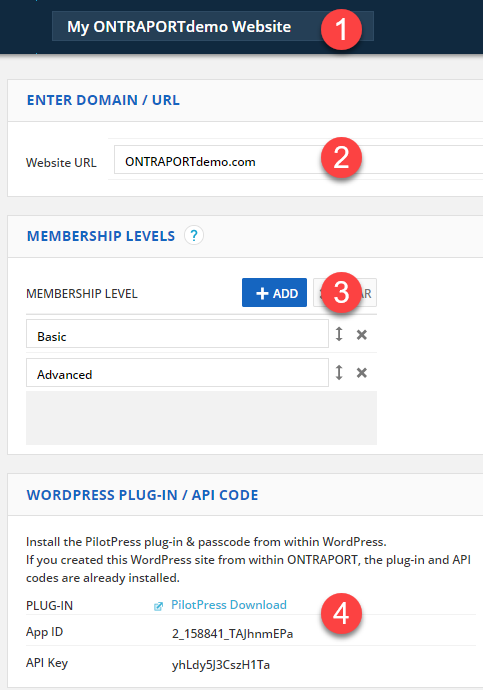 Add membership levels by returning to ONTRAPORT and navigating to Administration > Integrations > WordPress Website. Click on the name of the site to open the same configuration page used to set up the integration. Add the names of the membership levels you wish to use under Membership Levels. You can add membership levels at any time by returning to this section. The membership levels appear in the editor in WordPress when creating or editing posts, pages and custom post types. Open any existing post, page or custom post type in the WordPress editor. A new section named PilotPress Options will be at the top right, showing the membership levels you created in ONTRAPORT. Access Levels: Check the box next to the membership level to have access to the post. PilotPress uses discreet permissions, so only the membership levels you select will have access (lower membership levels do not automatically gain access). Show in Navigation: Protected pages are not shown to non-members in WordPress menus unless you check this checkbox. On Error: Non-members are redirected to this page. This can be used to remind members to log in (as shown) or to send non-members to a sales page for your membership program. Navigate to Posts > Categories. 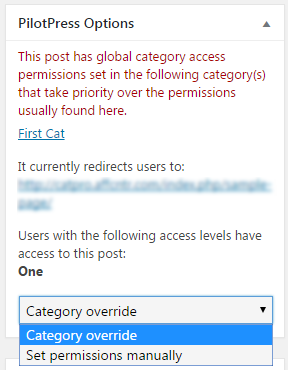 Create or edit a Category to show the PilotPress Permissions section. Select the membership level that should have access to the posts in this category. Select the page to redirect members who do not have access to the category. Access Levels: Check the box next to the membership level to have access to new posts in the category. On Error: Non-members are redirected to this page. This can be used to remind members to log in by selecting the login page, or to send non-members to a sales page for your membership program. Also protect all individual posts in this category: This will be checked by default. In order to remove protection from the posts or custom post types in the category, uncheck this box. When editing an individual post or custom post type that is in a protected category you will see this dialog box. You can override that individual post's protection and set permissions manually. Category override: Make the post or custom post type public and override the category protection. 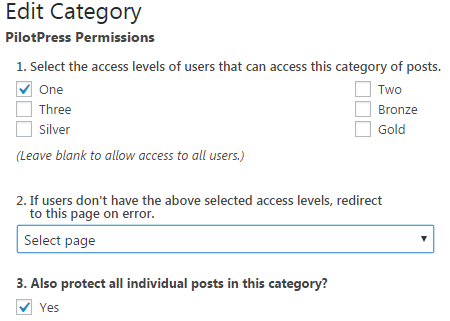 Set permissions manually: Override the category permission and set them individually, just like you do for a post that is not in a protected category.